Our newsletter covers the latest news and HPS activities. We are an organization representing Health Physics and Radiological Engineering Professionals across the state of Virginia. Given the wide range of Nuclear and Radiological facilities within Virginia, our members stem from nearly all areas of Health Physics. This diversity in experience provides a wealth of expertise to the chapter. 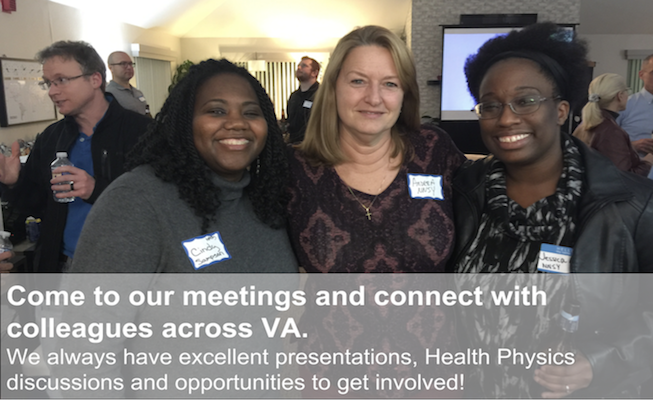 Our mission is to motivate excellence in the field of Health Physics through professional development, community involvement, and ethical practice. VA ANS/HPS still looking for members to join the planning committee!